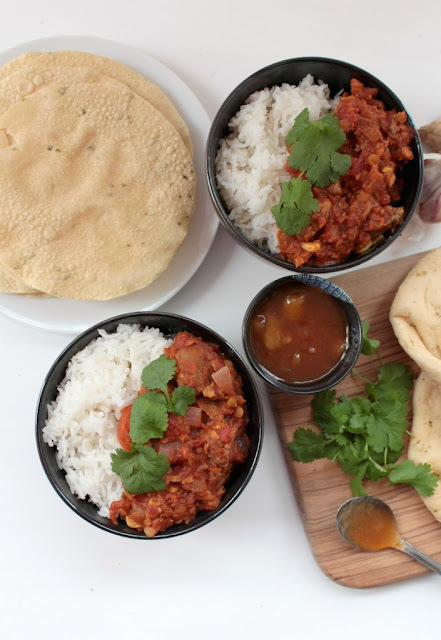 This lamb Dhansak curry tastes delcious and is easy to make. I love curry and Friday night is our curry night. I would love to have a takeaway every week but there are two things stopping me. 1.It is expensive and 2. it isn't that healthy. 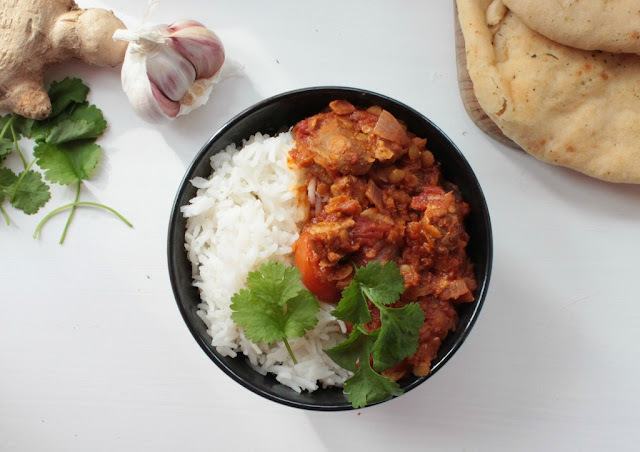 I have therefore decided to make more of an effort to make more of my own healthier curries. Recently, I reviewed a Date Delivered subscription box which contained a spice box from The Spicery. Inside amongst lots of treats was a recipe for a lamb dansak. I have played around with it a bit and come up with this one. It serves 2-3 depending, depending on how many accompaniments you have with it. Chop the red onion and fry in coconut oil until soft. Add the garlic, ginger and lamb and cook to seal the meat. Add the rest of the ingredients plus 300ml water. Cover the pan and simmer until the meat is soft. This will take an hour to an hour and a half. You may need to add a little more water if the sauce is getting too thick. Serve with rice and fresh coriander to garnish. What is your favourite dish to have on a Friday night?